There’s a certain generic image that’s associated with the word Chinatown. The neighborhoods can be found around the world and have, in many ways, made the switch from immigrant communities to full-blown tourist attractions. Chinatowns in places like San Francisco, New York, Chicago, and LA are prime examples. But Chinatowns aren’t limited to what you see in the movies. True Chinatowns also exist, oftentimes in unexpected places like tiny farm towns and French-speaking cities north of the border. Here are 10 Chinatowns around North America you might not have known existed. To Canadians, the fact that Toronto has phenomenal Chinatowns is about as big a revelation as the fact that Maple Leafs is spelled with an F. But Americans might be surprised to learn that Toronto has not one but three Chinatowns spread throughout the city proper and its suburbs. The main one sits around the intersection of Dundas Street West and Spadina Avenue, where Mother’s Dumplings and King’s Noodle have been drawing crowds for decades. 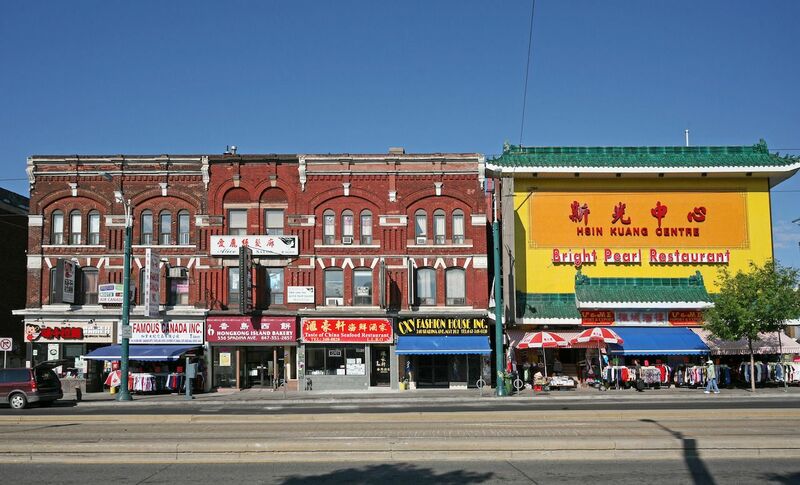 Eventually, the Chinatown grew to form an East Chinatown on Broadview Avenue and Gerrard Street. Another popped up in Scarborough in what looks like an average suburb, but one where all the signs are in Chinese. This was the first place to introduce North America to the concept of the Chinese Mall at the Dragon Centre, which is full of restaurants and stores designed to serve the needs of Chinese residents. As rents in the city grow, recent immigrants have settled farther out, in Markham and Richmond Hill. Here, you’ll find some of the best, most authentic restaurants in the metro area, including Ding Tai Fung Shanghai and Dragon Boat Fusion. Montreal’s Chinatown is geographically smaller than some of Canada’s other, more renowned, Chinatowns. 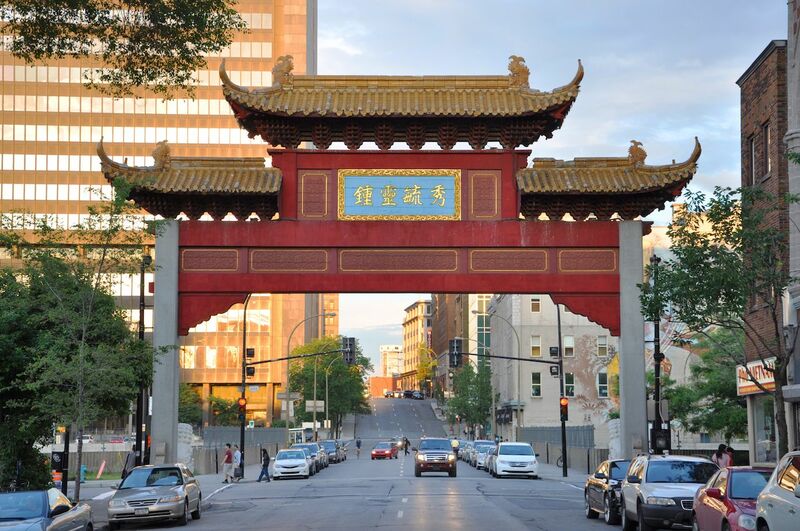 It does, however, feature big, arching Chinese gates along de la Gauchetiere Street in Old Montreal that welcome everyone to the neighborhood. The Quartier Chinois dates back to the late 19th century when immigrants who’d come to western Canada for work on railroads and mines began moving east. During the World’s Fair in 1967 when de la Gauchetiere Street was closed off as a pedestrian mall, it became a legitimate tourist attraction. Today, you can stroll under the Chinese street signs and enjoy the Montreal sunshine, snap pictures of the elaborate “May an Old Song Open a New World” mural, and try noodles and bilingual fortune cookies at Wing Hing Lung. For full-on dim sum, try Ruby Rouge or Kim Fung, or spicy Szechuan at Kanbai. Since the neighborhood has grown past a simple tourist trap, you can also peruse Chinese markets and Asian pharmacies for traditional eastern medicines. Theoretically, it shouldn’t surprise anyone that the closest major US city to China has a pretty solid Chinatown. 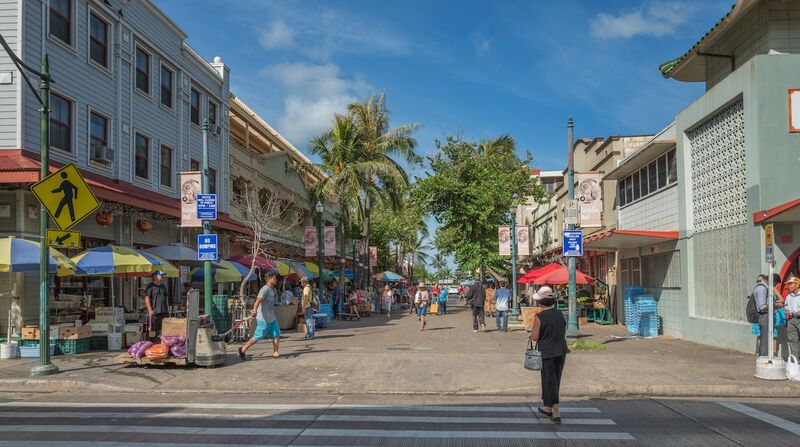 But tourists don’t often make it to the covered sidewalks and brick streets of America’s most tropical Asian district. For years, this area near downtown was Honolulu’s red light district, awash in casinos, prostitution, and all the other vices off-duty sailors looked for. But it’s seen a rehabilitation over the past 15 to 20 years. Returning to its roots, Chinatown is now home to Chinese fruit and meat markets where you can shop among recent immigrants from all over Asia for ingredients you’d be hard-pressed to find on the mainland. Like so many rehabilitated neighborhoods, Honolulu’s Chinatown is also attracting artists, fancy cocktail bars, and popular restaurants, much of it centered around the iconic Hawaii Theatre. You’ll find art galleries dotting the streets alongside bars like Tchin Tchin! and the divey Smith’s Union. You’ll find restaurants far beyond traditional Chinese, like inventive, second-generation Asian fusion at Pig and the Lady, Puerto Rican-inspired French food at Grondin, and East African at Ethiopian Love. It’s a bit of a ride from the beaches of Waikiki, but it’s also the best way to see what life in Honolulu is like for people who live there. As with pretty much everything else in Oakland, the city’s Chinatown gets forgotten behind the more-ballyhooed one in San Francisco. 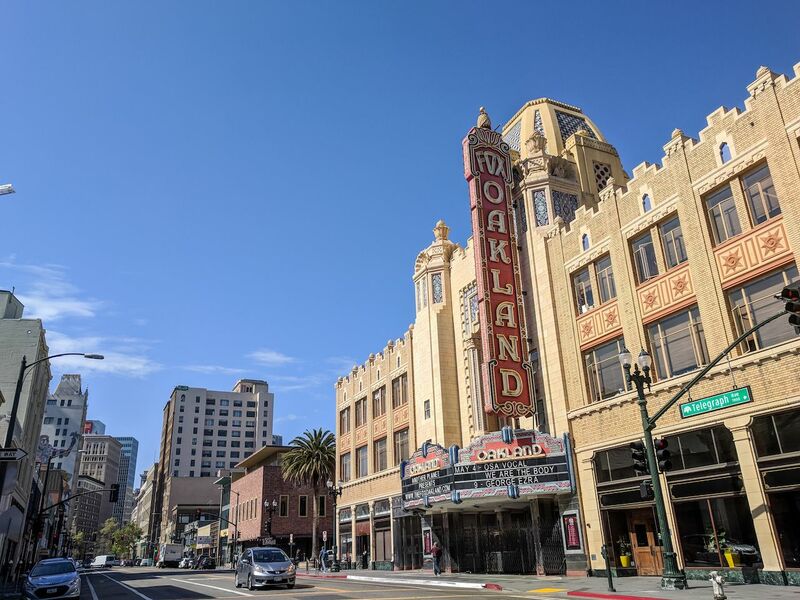 But, also like pretty much everything in Oakland, you’ll find it’s less-crowded, cheaper, and easier than its counterpart across the bay. Oaktown’s Chinatown dates back to the 1850s when Chinese immigrants settled here right around the time of the Gold Rush. It’s grown to include other communities that came to California from Korea, Japan, Vietnam, and other parts of Southeast Asia. Oakland has a highly unheralded street mural program, much of which is visible walking along the main drag on 8th Street with depictions of colorful birds, tigers, and other animals. You can stop in and take a tour of Oakland’s famous fortune cookie factory, which costs only $1. Shan Dong is the go-to for fresh noodles, and you can get some of the best banh mi in America at Cam Huang. Hit the neighborhood early in the morning, and you’ll also catch locals practicing Qi Gong and Tai Chi in Madison Park. America’s fourth-biggest city often doesn’t get enough credit for, well, pretty much anything but space and oil. It’s a fantastic, multicultural place, and among its more underrated attributes is its thriving Chinatown, which is now more of a pan-Asian enclave with Vietnamese, Korean, Malaysian, and even Pakistani residents. 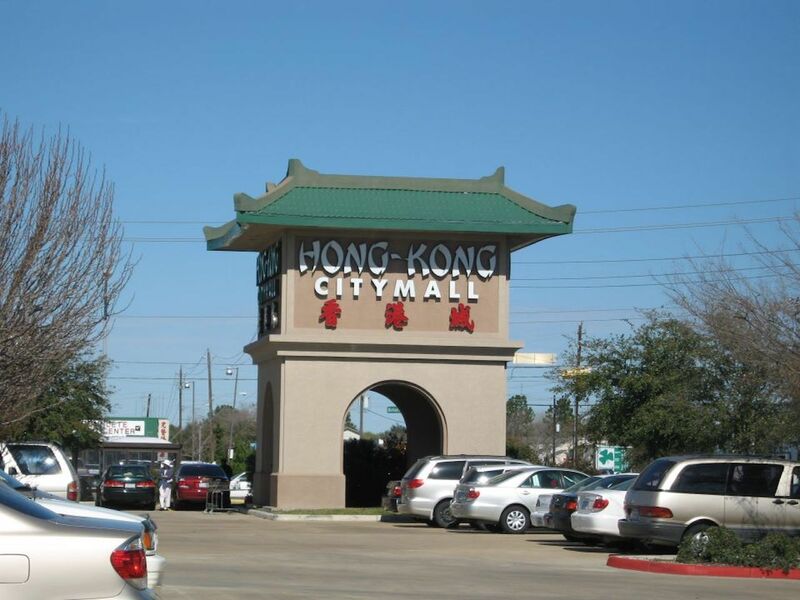 The city’s main Asian enclave sits west of the city along the Sam Houston Tollway. But driving long distances is as Texan as cowboy boots, so once you’ve made the trek you’ll be rewarded with the best multi-ethnic neighborhood in America. You can try Cajun-Vietnamese fusion at Crawfish & Noodles, Taiwanese dumplings at San Dong Noodle House, or go southwest Asian at Avesta Persian Grill. You’ll find the Asian mall at the Hong Kong City Mall, where you can shop for Japanimation stuff at Moshi2 then try everything from bubble tea to taro ice cream. This Vancouver suburb is adjacent to the International Airport and doesn’t have a Chinatown per se, but it is the most predominantly Asian city in North America with nearly three-quarters of its 190,000 residents claiming Asian ancestry. Over half the population is Chinese, so if you’re visiting Vancouver, your best bet for Chinese food is going to be outside the city in Richmond. Richmond is the only city on the continent with a dedicated dumpling trail, which takes you through 19 of the city’s best restaurants sampling everything from gyoza to shumai. For something different, head to the Golden Village neighborhood where restaurants specialize in foods from different regions of China, leading some food critics to call it the best Chinese food in the world outside Hong Kong. Chinatowns aren’t limited to big cities. The oldest rural Chinatown is in the river delta city of Locke. The entire city is a historic district, designated to preserve the architecture and culture dating back to 1915. The ramshackle wooden buildings along Locke’s main street once housed gambling halls, fish markets, grocery stores, and brothels. Now the population is down to about 80, maybe 10 of which are Chinese. That said, it’s one of California’s great, if lesser-known, roadside attractions. Dai Loy Gambling House Museum, the Locke Chinese School Museum, and the Jan Ying Museum tell the story of a rough-and-tumble farm community a century ago. 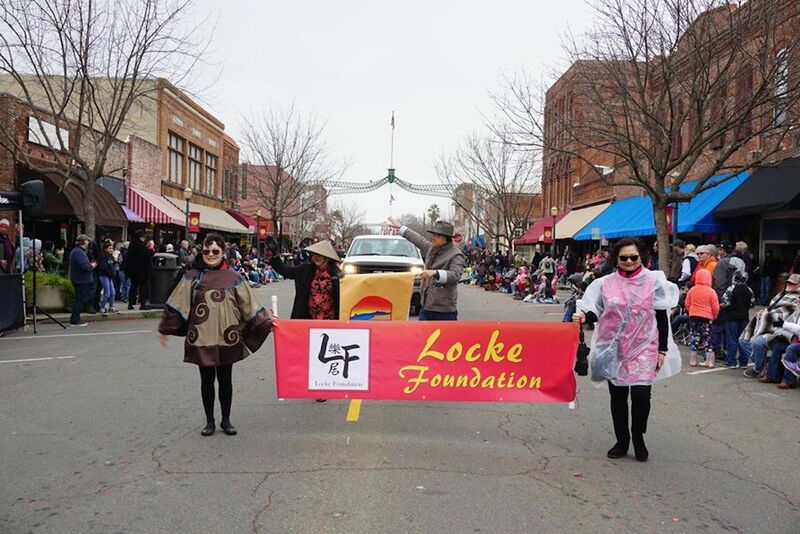 You’ll find the most action if you go in May for the Locke Asian Pacific Spring Festival, complete with lion dances and scores of traditional Chinese food. As Sin City morphs into actual city, its Chinatown has become the most exciting new district in America. About two miles off the Vegas Strip on Spring Mountain Road, a giant Chinese gate frames The Wynn in the distance, where the smell of garlic and pork cuts through the dry desert air. The smells are likely coming from Chengdu Taste, a Sichuan-style spot that serves eating-challenge-spicy food rich with garlic and chilies. 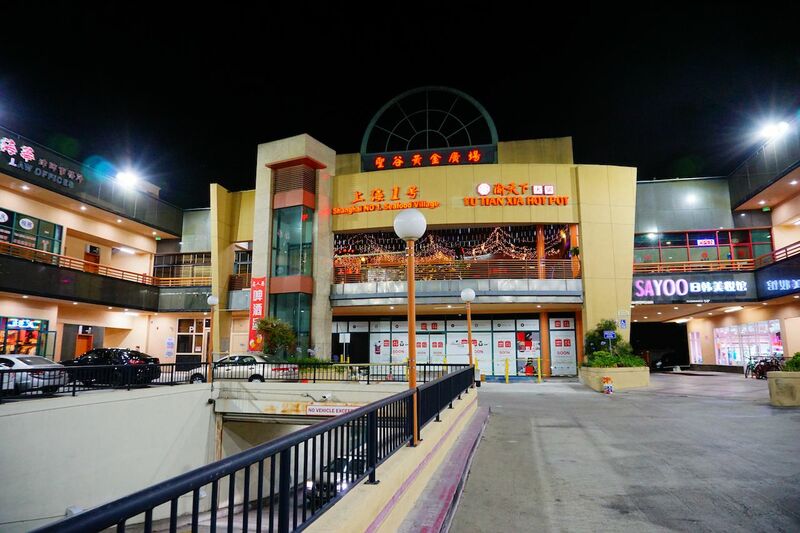 Like most newer Chinatowns, Vegas’s offers food from other Asian countries, and a trip into the Mountain View Plaza gives you the opportunity to try Vietnamese food from District One and Mongolian specialties off a conveyor belt at Chubby Cattle. You’ll also find sushi better — and cheaper — than the chic spots in the casinos at Yui Edomae. The architecture here is interesting as well, as the typical Vegas strip malls are topped with orange pagodas. While it does still feel a little like suburban sprawl, it still has enough character to make it a distinct part of the city. No surprise that the birthplace of bedroom communities also claims the first “suburban Chinatown” in North America. The LA suburb of Monterey Park went from a neighborhood primarily made up of Mexican and Japanese farmers to the “Chinese Beverly Hills” when the Chinese community left Downtown LA’s original Chinatown and headed about eight miles east. 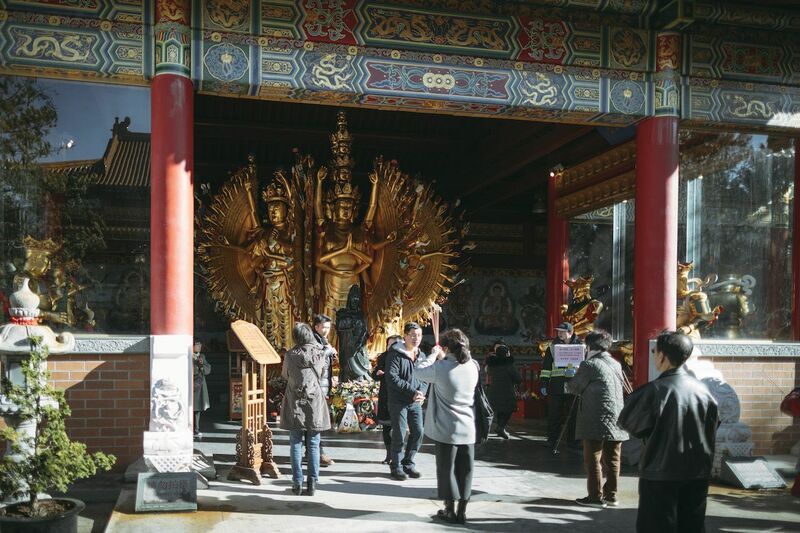 Because this Chinatown has seen a number of cultural iterations, it’s also home to the Vincent Price Art Museum, with a huge collection of Mesoamerican art, as well as loads of Spanish revival architecture and the Garvey Park Ranch Observatory. That said, driving through the streets of Monterey Park the feel is distinctly Chinese. Asian characters fill the signs and restaurants like NBC Seafood and the Mandarin Noodle House. In fact, the San Gabriel Valley is one of North America’s best places for Chinese food. 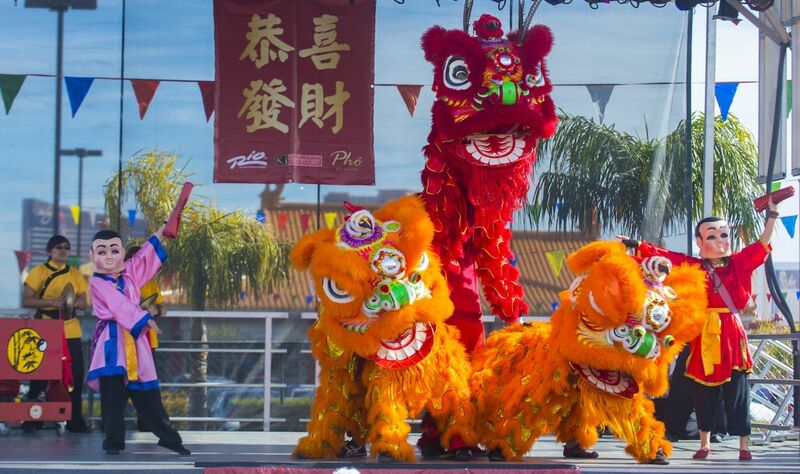 In January, you’ll come across one of the biggest Lunar New Year parties in America, with a parade, Chinese dragons, and plenty of delicious street food. Mexico isn’t typically a place that comes to mind as a hotbed of Chinese culture, but in the Baja town of Mexicali you’ll find Mexico’s largest Chinatown in La Chinesca. 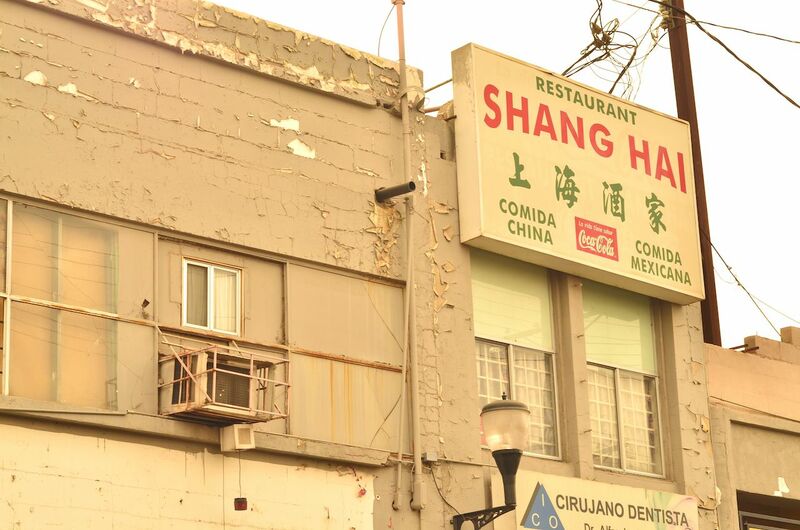 While the few square blocks of downtown have a handful of Chinese-Mexican restaurants, it’s more worth visiting for its history than its food. You wouldn’t get tacos in Shanghai, and we’ll leave it at that. The area was settled by Chinese immigrants seeking agricultural work in the late 19th century, barred from entering the US by the Chinese Exclusion Act of 1882. Immigrants built a series of underground tunnels to make their way through the city and avoid the heat. They later used the tunnels to hide from persecution during the Mexican Revolution, then a hideout for gambling, drinking, and other vices during Prohibition. Though it’s been closed to the public since 1970, plan ahead and you can still take a guided tour.